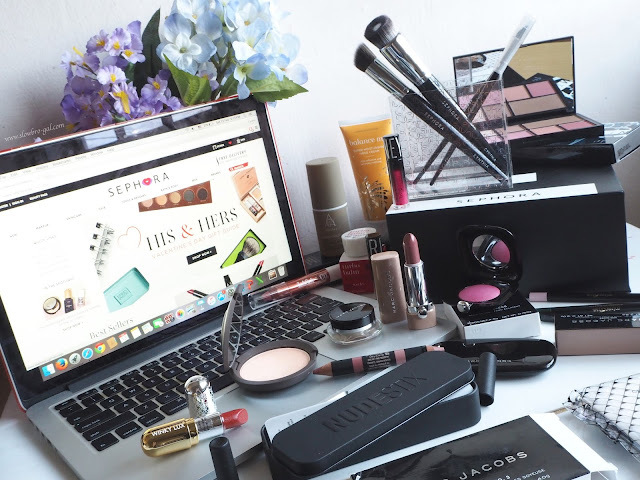 Besides the convenience of shopping online, there're lots of bigger brands now available in Sephora Online! 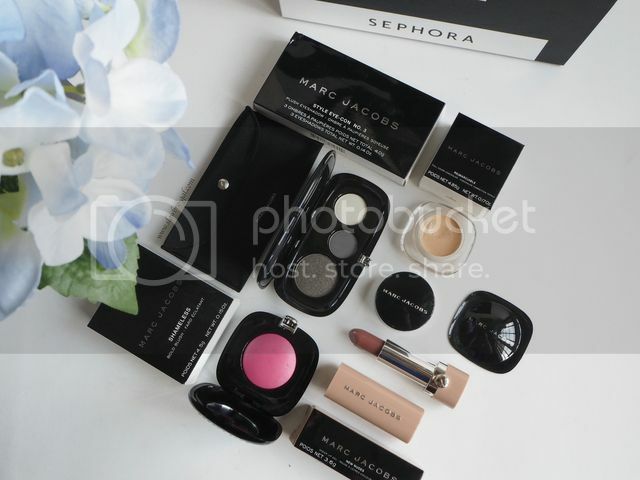 Eg: Nudestix, Becca Cosmetics, Marc Jacobs, Zoeva, NYX etc. 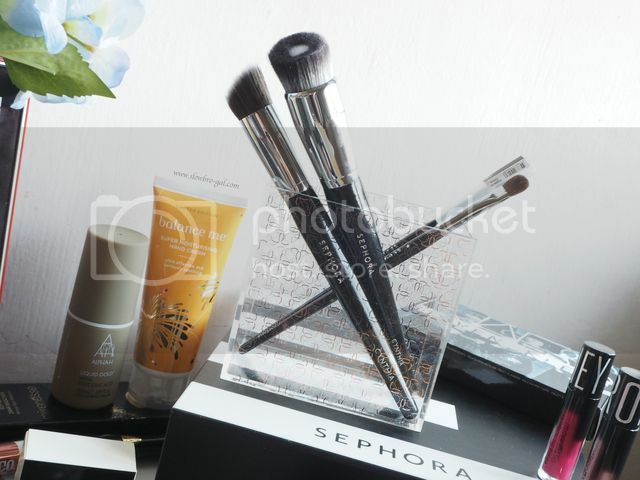 If you're familiar with one of the best beauty e-commerce site - Luxola, yes they have been rebranded to Sephora. Therefore, most brands that used to be available in Luxola website are now available in Sephora Online too! Isn't that awesome? 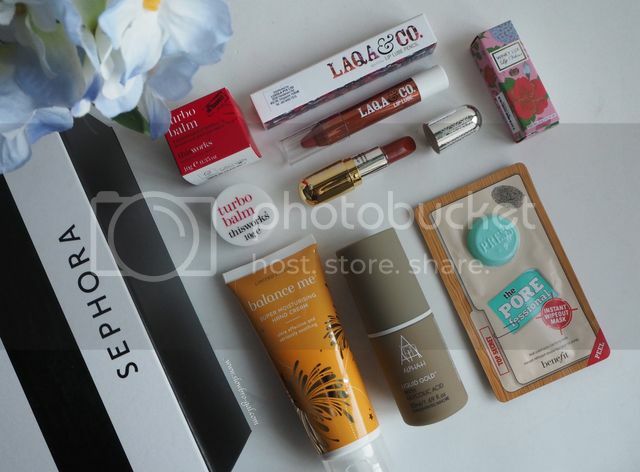 In conjunction with the launch, Sephora SG sent me a care package which makes me super excited! It feels like Christmas all over again! Adding more new makeup brushes into my stash. It's my first time trying out the Sephora Pro Brushes and I have to say it's pretty good! The brushes are quite sturdy, soft and dense. I’ve tried using both Pro foundation and angled contour brush. It’s felt so soft on skin and give me a precise blending. If you’re looking for an affordable and good makeup brushes, Sephora Pro Brushes are definitely a good buy. I couldn't be more than happier to have my desk looking like this every single day despite the mess. 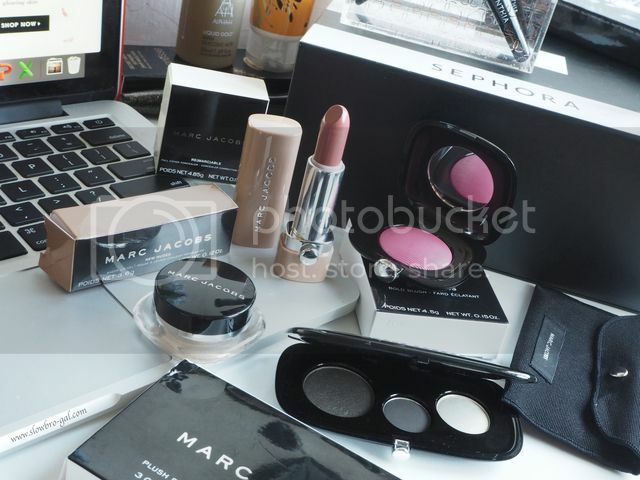 One of my recent favorite makeup brand - Marc Jacobs Beauty! From eyeshadow palette, blusher, lipstick and base, I got it all covered! 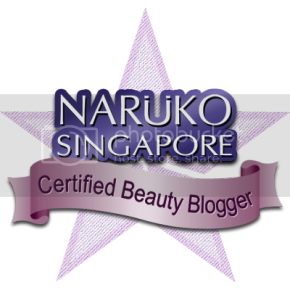 This particular product took me just 5 minutes to fall in love with!! If you're looking for a good smooth and creamy lip color, this will never disappoint you. Now I see why everyone is raving about it. 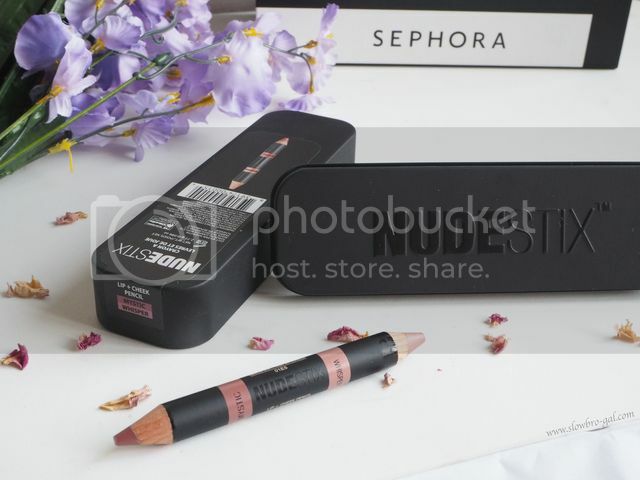 =) Nudestix Lip & Cheek Dual Pencil (Mystic & Whisper) is now inside my everyday makeup bag! 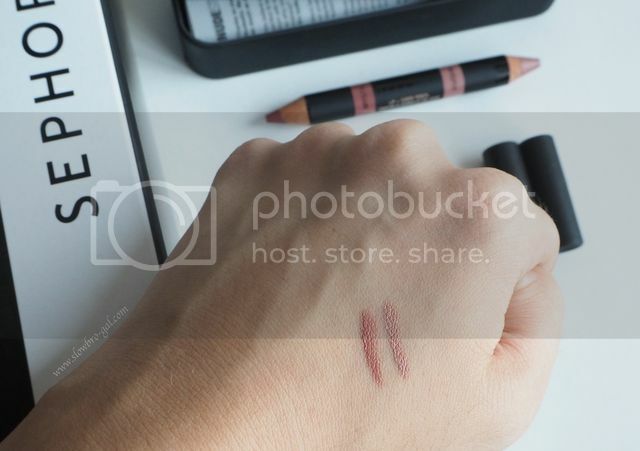 Nudestix was launched in Sephora last month and it has been a hit ever since it launched. I can't believe that I resisted getting them until I tried them out now. It glides on my dry lips smoothy, colors are highly pigmented, packed with vitamins and anti-oxidants! All I can say now is that I'm hooked! 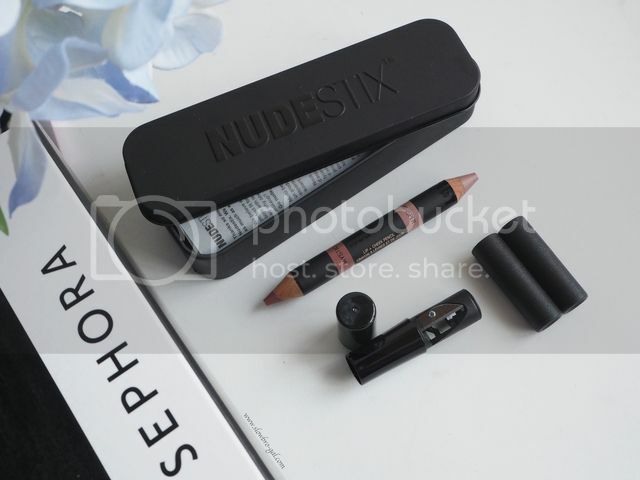 I need more of Nudestix in my life now~~ Hopping over to Sephora now to check what colors and other items should I get. 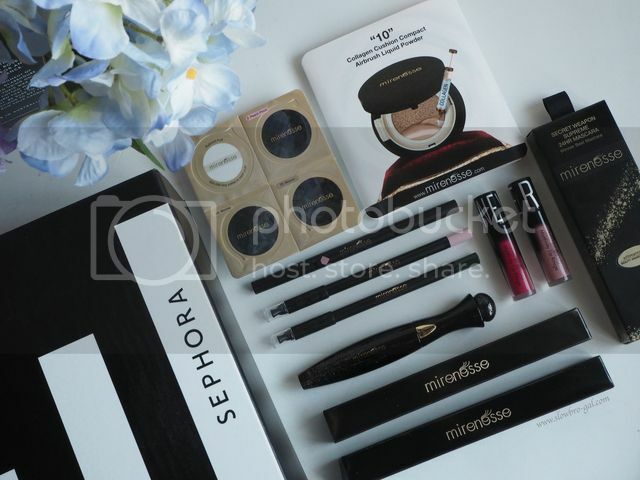 Sephora promises to deliver all local orders within 2 - 4 business days, and 5 -6 for international orders. 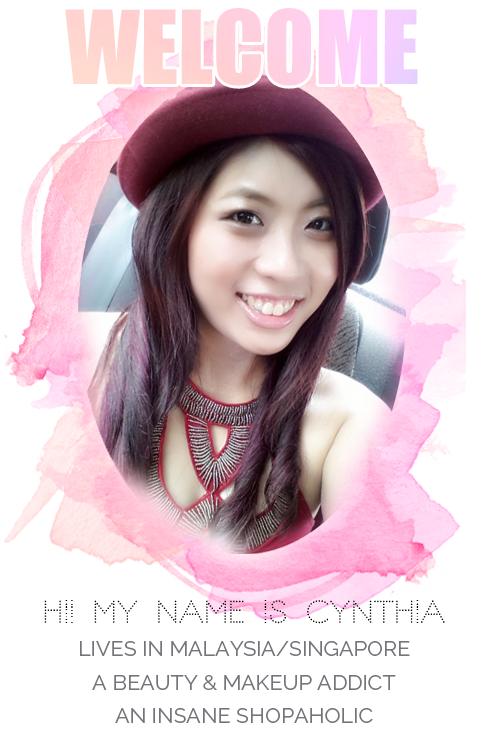 Enjoy your free shipping with purchase above S$40. "...... 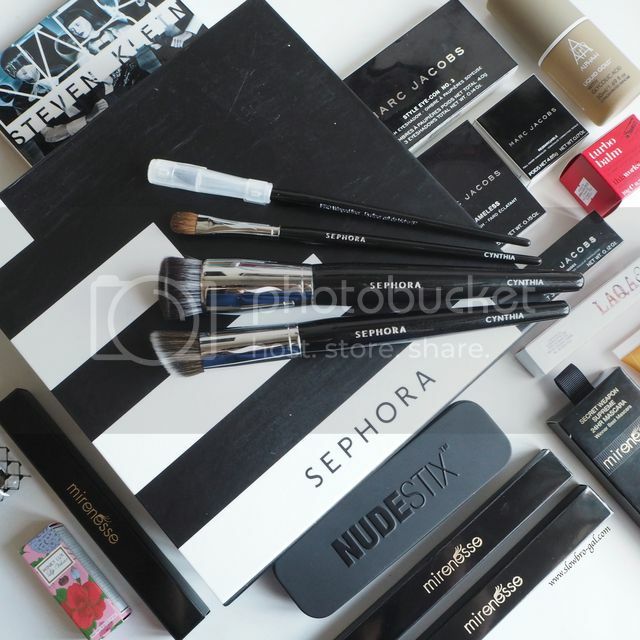 Bringing your desired beauty products to you by just a click away.........."
I have shop online with sephora when I purchase beauty product for my friend at oversea. Variety choice to choose from sephora.